Someone always has a financial belief system that will change your life and believes that it will not only change their life but yours as well. 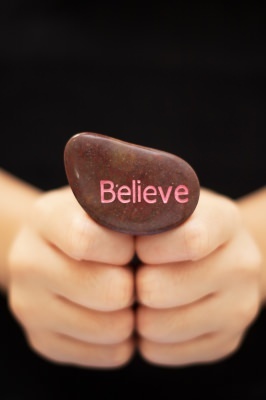 Eventually you have to believe in someone, even if that someone is yourself. The pushy sellers will stop at nothing to try and change your mind by forcing their financial belief system on you but when it’s your money, it’s your decision. What is the definition of belief anyways? Simple, it’s what you as a person trust to be the true answer, having faith in something or someone or a proper way of doing something. At least that is what it means to me. In order for me to believe in something I have to trust the source. There is always risk no matter what you believe. When no one believes in your financial decisions what do you do? If no one believes in my way of thinking the answer is easy for me because I’ve never been one to follow the opinions of others unless I found them to be beneficial to me. Financial news lurks everywhere, online, on the radio, in print and at your front your door even on your telephone. Everyone hopes they are doing right by their own finances but are we really? If you find yourself struggling to stay afloat then maybe it’s time to search out alternate ways to get back on track financially. If you tell people you are struggling they may offer you advice and say their way is the only way or suggest ways for you to save money. Believe what you want. They say to always have a back-up plan in life because you never know what can happen. An emergency savings will only get you so far. 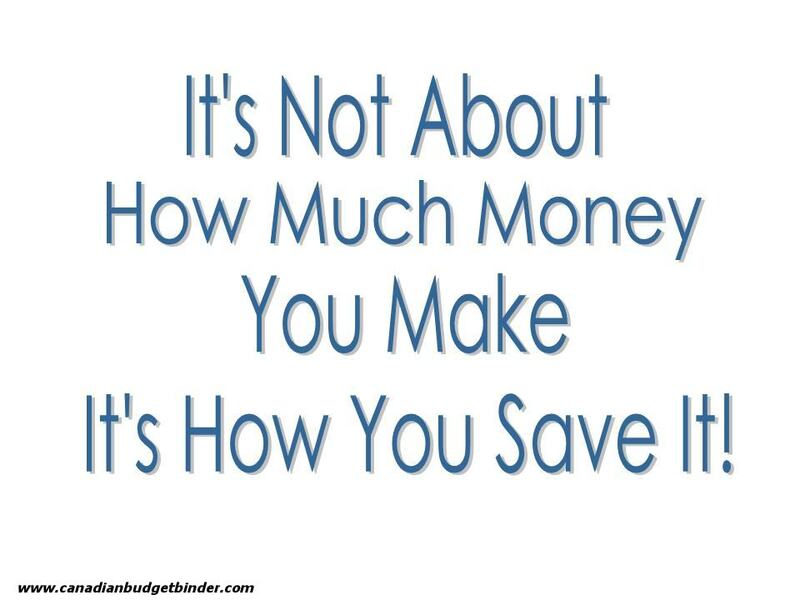 Unless of course your savings includes many zero’s. It’s great to have an income source coming in from more than one place. Sure there are times we will question what we are doing financially and we should. Never has there been a time where I’ve jumped into making financial decisions without doing a bit of research and getting opinions from financial experts that I trust. The fact of the matter is nothing is for certain when it comes to investing but trends and statistics are what keep us going. My parents for example invested their money in real estate and said it was the best investments they’d ever made. That was their belief system back in the day and it still is today. We plan to do the same one day if we can save up enough for a down-payment on a second home. Of course it won’t be our only plan of action towards senior life living like my parents. Once our mortgage is paid we also want to focus more on our investments as catching up is a place we need to be at. These days many people are scared to hand over their money to anyone so it stays at home hiding under a mattress, in a drawer or in a closet in a box. You’d be surprised if people came forward to tell you where they stash money around the house. That’s probably why we hear these stories of people finding thousands of dollars in items they bought used at a thrift store or while at a garage sale. People forget where they stash their money or someone might pass away and you know, forget to mention that they hid $100,000 in the back of a book. I believe the reason for this is because it’s their financial beliefs that their money should be saved this way. You can’t change their minds. My parents are living an early retirement now always on vacation for weeks at a time and life is good. Best part is those houses they bought years ago and are paid off keep paying them every single month. Some people may shun the investing in houses for your retirement theory but clearly it’s working for some people. Many successful millionaires are where they are because they took chances listening to a financial belief system they trusted because they felt they had enough evidence to support their decisions. On the other hand bad business deals have led to some people losing their life savings because they put all of their eggs in one basket. Remember that some people are good talkers and can sell anything to anyone. If it’s too good to be true it may be. When we said that we were going to pay our mortgage off in full rather than invest the money there were countless comments and emails about why we would make that decision. I’m going to write a more detailed post on that soon but the short of it is, because it’s what makes us happy. It’s part of our financial belief system to get us where we want to be. When you know a sure thing like your interest rate, you can’t go wrong in my opinion. Try and tell me what investments will make you money 100% without a doubt and I’d still be skeptical, but that’s just me. There’s something about concrete that sounds better to some than variable does to others. Risk, you bet but I pick and choose where that risk gets laid because it’s our money and our financial beliefs. When people don’t believe in how you spend your money you don’t have to tell them anything. In fact that’s just another reason why I never talk about our money let alone what we have because for some it turns into a financial debate that is never-ending. Don’t get me wrong I love chatting about finances but talking about what’s in my own bank account with friends and strangers is not my cup of tea. I never try to force my financial beliefs on anyone although I do enjoy listening to what others do or have to say. That’s part of the learning process in my opinion. On many occasions we’ve had friends ask us why we chose to shop at thrift stores like I mentioned in yesterday’s post and the answer has nothing to do with what people think. Just because people may have money doesn’t mean they should run out and blow it at the first available moment. You see, we all have our own financial beliefs and no matter how hard you try you can never force those beliefs on anyone. I follow many personal finance blogs and I read many blog posts during the week. I take every post I read seriously but if I was to follow a certain financial path that someone else had tried I’d certainly do my homework. My friend Mark at My Own Advisor is doing an amazing job with his investments and reaching his dividend income goals. Anyone would want to know his secrets and even if he told you, you’d have to do your own homework. Mark has a large following of fans and for good reason because he’s showing them how his investments are working for him. It’s his belief system that tells him that once he reaches a certain point he will reach his personal financial goals. I believe he will get there. I’m sure Mark has spent countless hours learning about investments and made money and lost money because it’s all about risk but I can bet you he won’t do something with his investments just because someone said so. You have to realize that money and risk go hand in hand in anything you choose to do with it. What works for one person might not work for you. Just because your grocery budget for 5 people is $600 and for another family it’s $900 we can’t judge each family because they may be shopping according to their own financial and health needs. We don’t know what lurks in someone’s financial health. Just because you see what’s on the surface certainly doesn’t mean that’s the light in the background. We’ve talked about The Millionaire Next Door and my other friend Mark from Money Saving Dude did a great review on the book. Just because your neighbour drives a beat up car and doesn’t dress the best doesn’t mean they don’t have money. I’ve been subjected to people treating me differently because they see or hear where I shop yet I may just have more in the bank than they do. Does it really matter? Not really. What is a blog? You’re reading a blog right now. It’s a place where someone or many people share their beliefs about a certain topic or many topics. What about if you want to give up your full-time job like Holly from Club Thrifty, Pauline from Reach Financial Independence, Michelle from Making Sense of Cents or my good friend John from Frugal Rules to pursue your work from home dreams? They all run blogs and are good at what they do. Not all blogs are successful though and to make money be prepared for blood, sweat and tears. You will always be met with opposition but if your financial belief system tells that you can make it, then go for it. Giving up a steady income for the unknown might be hard to do but many people have succeeded but it’s not for the faint of heart. It’s hard work if you work from home because you are now fending for yourself. Nothing anyone says will stop you. You only have to look at some of the incomes that these bloggers bring in from freelancing (those that share their numbers) to know they know what they are doing. That’s why I say you should never worry about what others are doing and focus on your own financial health. If you want to make positive changes to your finances finding someone you trust is a good start. Just because I say to use a budget doesn’t mean it will work for you like it does for us. Budgeting is part of our financial beliefs and has gotten us over the hump towards debt freedom. Sure you can try it out but if you don’t give the budget your 100% effort like we do you will not succeed and say you hate budgeting. Boo on you, but I won’t judge you because I worry about my family first. If budgeting is not your thing then I hope that you find something suitable to get your finances beliefs on track. Saving money isn’t rocket science but investing your money takes a skill and a risk tolerance some people aren’t willing to take. That’s the way you roll and I can’t change that. Only you can. So the next time someone tries to force their financial beliefs on you saying that you must or should do something, figure it out for yourself. You might even catch me telling you should do something but like anything do your research and know what you want from of the outcome. Never judge someone because of the way they choose to spend their money because you can’t change them. Their belief system is their own and in the end they are the final judge. You might see someone who spends their money eating out every single day and blowing money on crap but you can’t make miracles happen for them. What I’ve learned is you can listen and if they ask questions you can answer but you can never change someone. Sometimes hitting rock bottom, get laid off or fired, losing everything and going bankrupt is the only wake-up call some people will need before their ears are open. Even then your financial beliefs may not be a right fit for everyone. Have you ever had someone say that it takes too much time to cook so I just eat out? If they believe it takes too much time you can’t change that they don’t want to cook nor that they are spending more money eating out than eating in. You can argue all you want with someone why they should buy a name brand product rather than buying a no-name brand but if that’s all they can afford who are you to judge? Maybe they like the no-name product over the name brand. The fact of the matter here is that if you could open the door to someone’s life you will find their financial health to be different from your own. You may find some people who are similar but it’s rare to find someone who thinks and acts just like you do. So, the next time you want to dish out your financial belief system to someone just remember that whatever they choose to do depends on how they view the outcome for their own life. Have you ever had someone try to convince you that your financial beliefs were wrong? How did you handle that? Did you make changes to your finances? How did that work out for you? You can lead a horse to water but can’t make him drink, right? I’m fortunate enough that my wife and I are on the same page, and she trusts me and allows me to handle most of the financial decisions. But still, I try to help my friends and family out, with even minor changes to their spending habits and their investment elections, but they still are hesitant to make any change, or they simply just don’t want to make the sacrifices. It’s hard to watch, but it’s not my life, so I can’t force them to do anything. Excellent read, btw. You nailed it when you say they don’t want to make the sacrifices. That is exactly what we run into. We can’t make anyone do anything. Great post, Mr. CBB. It is important to figure out what your financial belief system as it will truly help guide your decision-making process. It still amazes me how many people really have thought about how they want to use their money beyond simply using it. They don’t think about why they truly want out of live and what they need to do in order to achieve it. And so many people just want easy answers. You tell me what to do and even better if you can do it for me and I’ll reap the benefits. Sadly, it doesn’t work that way, which is why some people get taken advantage of. I’m living in a small province where online job is not really introduced. Many of my relatives discouraged me that it’s impossible to work online. But I really do believe that I can make money on it and I proved them that they are totally wrong. This is why following financial gurus blindly is a bad idea. Yet many do it, but ti’s easier than researching things on your own. It’s not a bad idea to read advice form a guru, but make it your starting point, not your only information. In my experience no one really knows everything and advice that works for my friend could be exactly wrong for me. I’ve been reading and listening to financial advice for years. I’m sorry to report that every single time an “expert” recommended a particular investment, it tanked down the road. Even if it’s a good investment for a time, it’s probably not a good investment forever. And no one tells you when it’s time to get out. Basic advice, like building an emergency fund, making a budget, saving to achieve your goals, these things are pretty trustworthy. It’s when you get into investments that risk enters. It’s best to diversify as much as possible to spread your risk. At least that’s my opinion! This is such a hard lesson for those of us who really feel like we’re trying to help. Obviously if you have a blog you’re in some way trying to say that you believe in the way you manage money, however I think it’s also important to note that groups change, not individuals. It sounds weird but we try and see it as challenging the way a generation has viewed saving money rather than attacking or judging the way an individual person approaches finances. Attacking and judging don’t work. Proving that your way works through financial success stories… that sort of works. Questioning why the world looks at money the way it does is essential in figuring out the best way to manage it. Just my somewhat jumbled thoughts on the matter. Thanks for the post! I’m trying to learn what I can about investing and such and so far what I have learned is what I don’t know. I really need to read something over a few times before I can make sense of it but that’s the way I am. Real estate is more something I can understand. My grandmother owned 4 houses when she died. We lived in one renting it off my grandparents. One of the other houses my Dad bought off Grandpa after Grandma died. That meant that when Grandpa died he had three houses, one to leave to each of his children. My Aunt didn’t want the house she inherited, so Dad bought her out, he inherited one of the other houses, so of the 4 houses Grandma had, he now owned 3 of them. The last house went to my Uncle for a while but eventually he decided to sell it and Dad bought that one too. We bought the house I grew up in and owned it for 6 years before we sold. Dad sold one of the other houses and still has two of them. One he lives in and the other is usually rented out. He’s debating about selling that one right now as it is empty. I can understand people hiding cash money. A lot of these people are older and lived through the 1930’s. Back then people lost everything when banks went bankrupt and that fear of losing everything is still with them. So is a mis-trust of banks in general. My husband and I buy most of our clothes at thrift shops. Occasionally foot ware, if we can find something we like.We keep a supply of clothes in Canada and Australia, that way we only need carry on luggage for our flights. In Canada, my only pair of sandals are approx 15 years old. I paid about $30, and I have reglued the sole a couple of times. Still very happy with them. In Australia, I tried to find a pair of walking sandals, and ended up getting a pair of boys. I knew the style I wanted and this was where I found it. By the second year, they were falling apart, but I have temporarily repaired them. I went back to the same store, and bought another exact pair. I need something I can wade thru water, when it floods here. Now my ‘challenge’ personality shows. How long can I wear these sandals before they completely fall apart? So far they have lasted 3 months longer than I thought 🙂 Regardless..1 May they go into the trash.